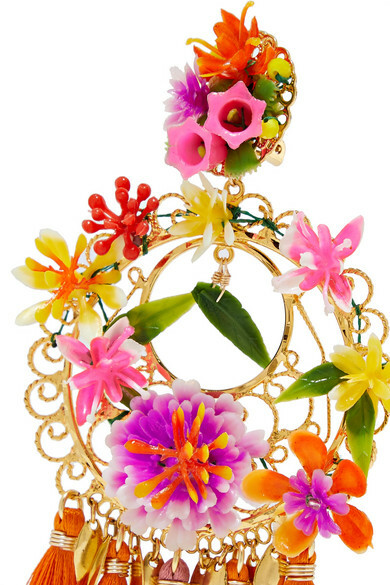 Mercedes Salazar's gold-plated earrings are a reflection of the vibrant culture of her native Colombia. 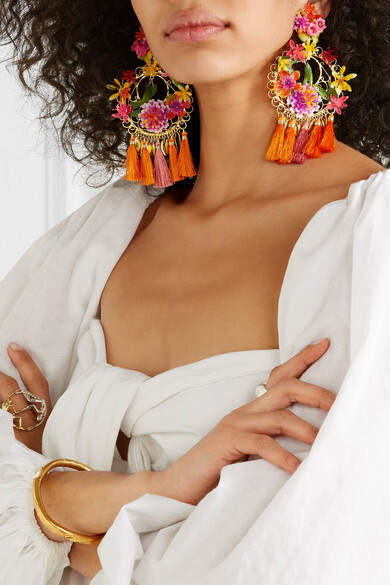 They've been intricately hand-shaped by artisans and decorated with resin leaves, bouquets of flowers and dainty chains that trace each hoop. 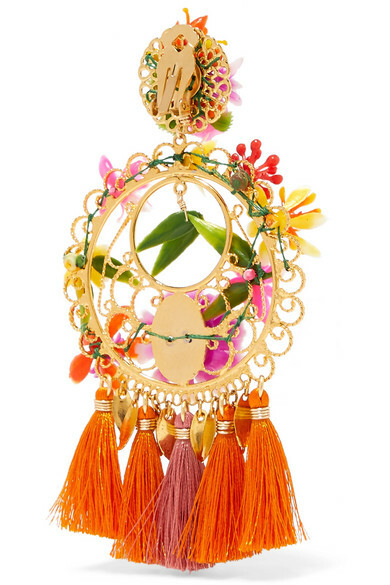 The colorful tassels swish a little as you move. Shown here with: Attico Blouse, Paola Vilas Ring, Paola Vilas Ring.